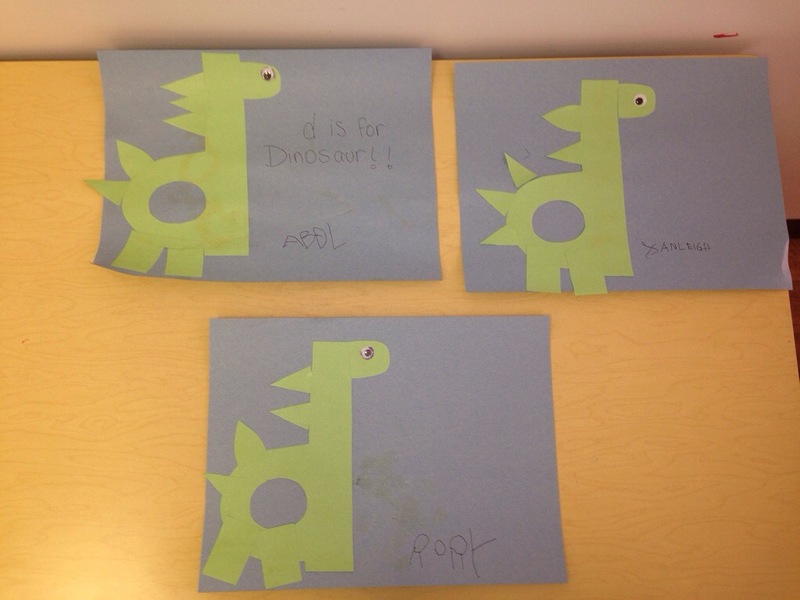 This month, our alphabet soup letter was d. We made dinosaurs out of the letter, had lots of books with D words and learned a new dinosaur rhyme. 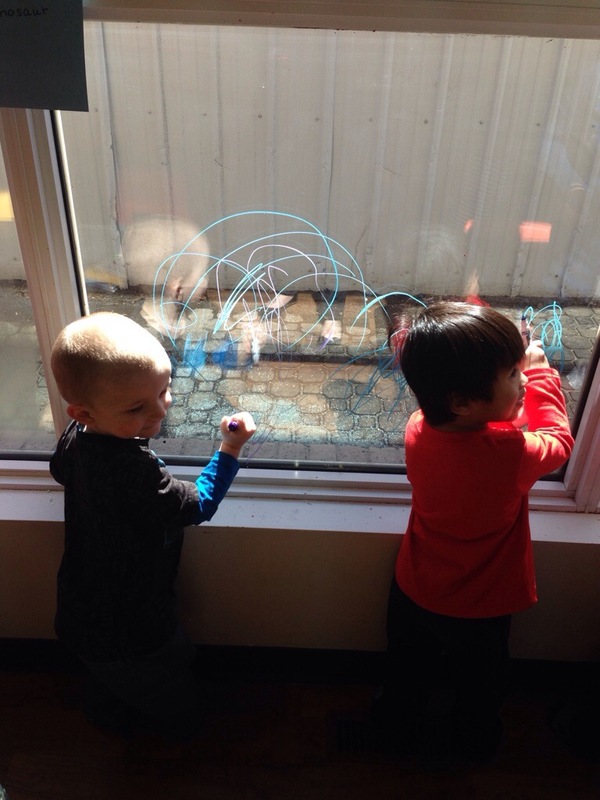 We also did some fun things on our window. 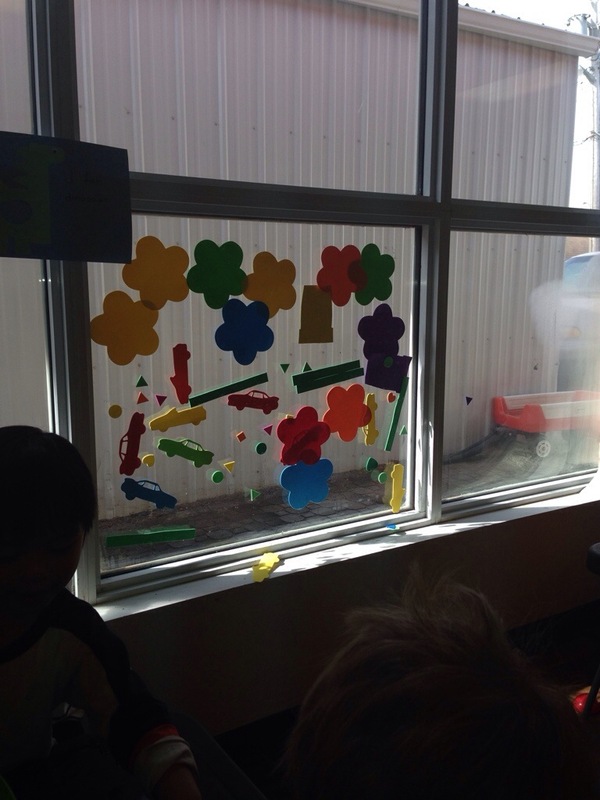 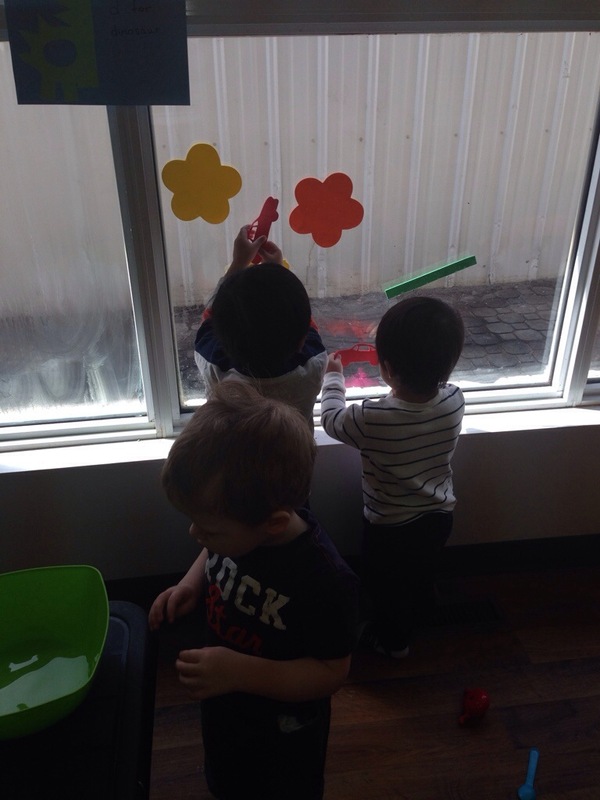 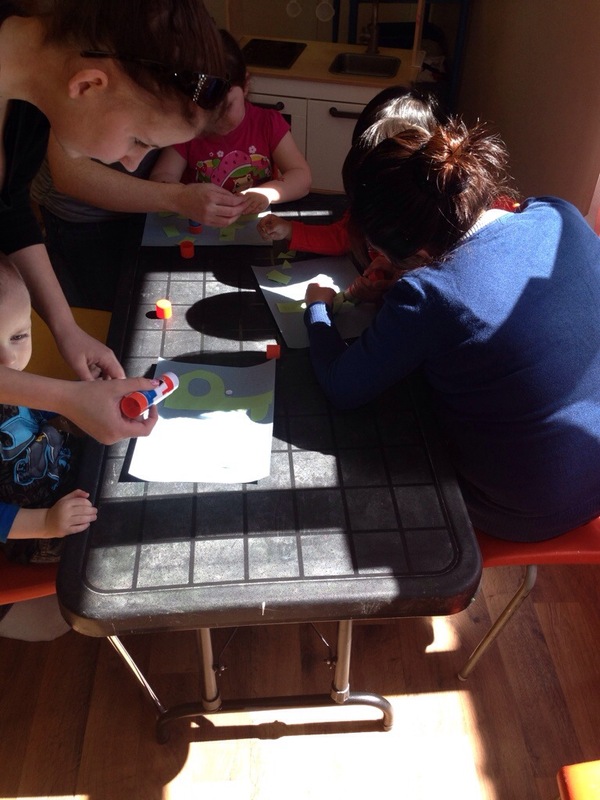 We used markers to colour and put foam pieces into water and then stuck them on.